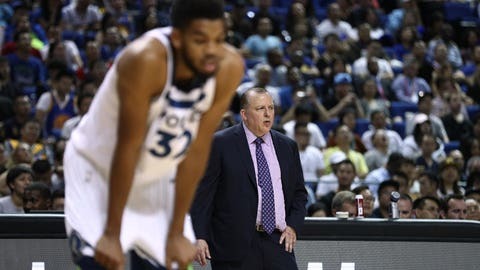 MINNEAPOLIS — The Minnesota Timberwolves made major strides this season in ending their 13-year absence from the NBA playoffs after a franchise-altering trade for All-Star Jimmy Butler. The Wolves, even with coach Tom Thibodeau’s preference to give his first-teamers heavy minutes, need to add depth this summer with defense and 3-point shooting atop the skill-set wish list. There is no clear way to acquire more of it, though, after making the logical first moves by drafting versatile wing players Josh Okogie and Keita Bates-Diop last week.